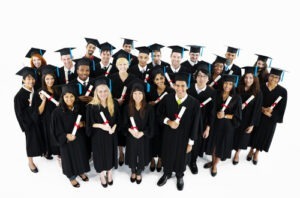 What Do Employers Really Want in New College Graduates? What job candidates aren’t even considering but should be if they want a job. Group of graduating students. Photo courtesy of Shutterstock. What’s the one thing that many college graduates fail to consider when preparing for a job interview? If you are a job seeker who has not landed one of those recent graduate jobs yet, it’s important to still show your appreciation. The following post shows you how to do so. Female finger typing on a GPS. Photo courtesy of Shutterstock. Car sales manager with potential customer in the showroom. Photo courtesy of Shutterstock.